The Tangible Engine Media Creator makes it easy to develop custom object-recognition apps. Ideum’s proprietary Tangible Engine object-tracking software lets you use handheld objects to explore onscreen content in innovative new ways. 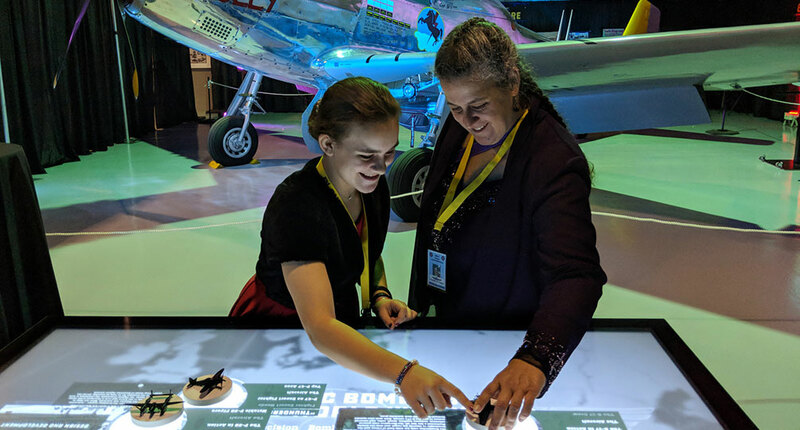 Built with 3M™ projected-capacitive touch technology, Tangible Engine is available with a wide range of Ideum multitouch tables, and the associated fiducial markers can be 3D-printed. When Ideum’s new Tangible Engine Media Creator is released this fall, developers will be able to easily add new content and design their own menus and buttons for object-activated experiences. 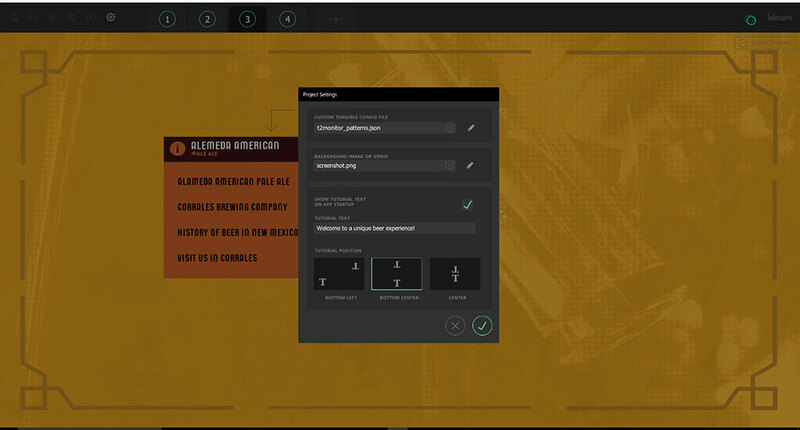 The Media Creator allows designers with little or no programming experience to build detailed and engaging mixed-reality applications. 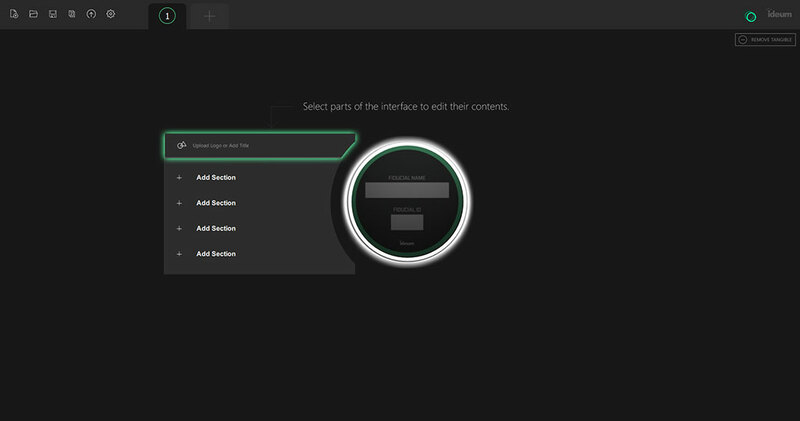 More details on the Media Creator’s functionality will be available closer to the release date. And current Tangible Engine license holders can receive a free Alpha version of the Media Creator and help us test and refine the software—contact us to learn more. The Beer Flight demo illustrates the creative options available with the new Tangible Engine Media Creator. Having created a Tangible Engine-based wine tasting for JCB wines and a coffee tasting for Starbucks, a beer tasting seemed the perfect way to highlight the flexibility of the Media Creator. 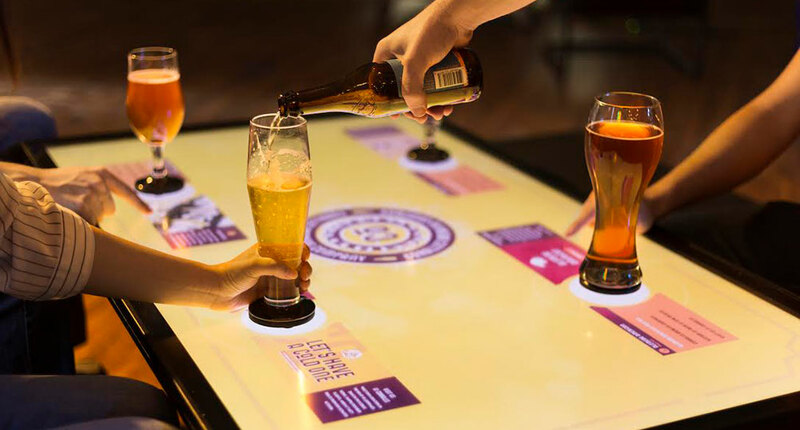 The New Mexico Beer Flight is a demonstration program that will be included with the software to let users explore the range of interactive experiences it makes possible. Placing glasses equipped with fiducial markers on the touch table calls up a fanciful history of New Mexico beers and ales, plus information on taste, ingredients, brewing processes, and food pairings. Programming has never been this straightforward, intuitive… or refreshing! Tangible Engine gives developers new ways to combine objects and onscreen content. 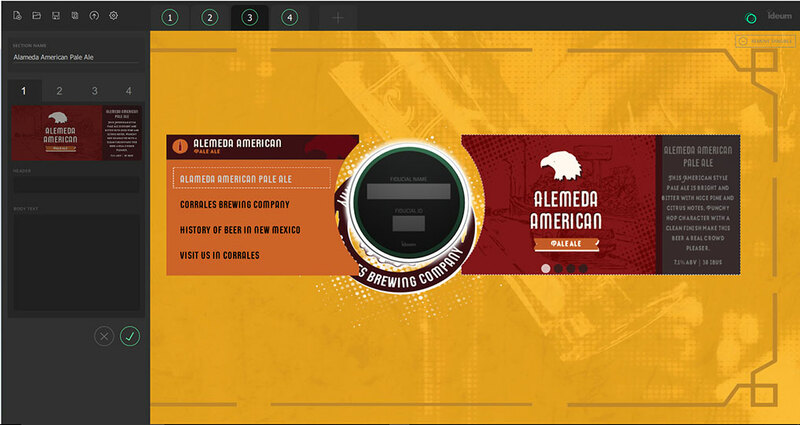 Users explore fictional New Mexico brews with the new demo included with Tangible Engine Media Creator. Already using Tangible Engine and interested in being an Alpha tester? Please get in touch with our Sales Office. Tangible Engine Media Creator makes it easy to add and update content. An intuitive interface lets users build custom applications in just a few steps. 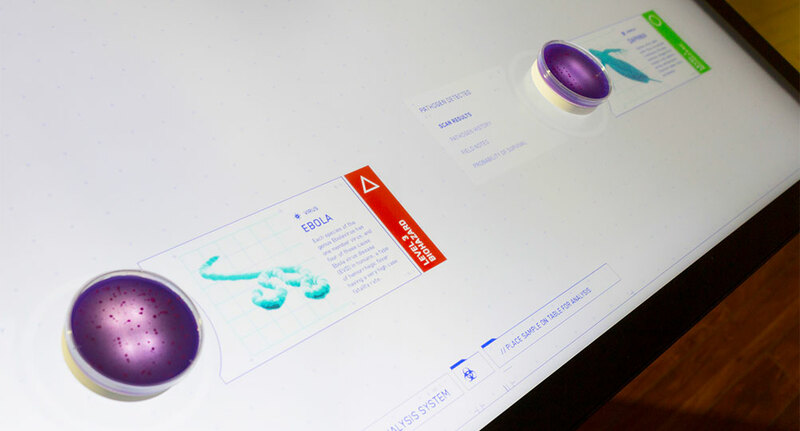 The application smoothly integrates tangible objects and onscreen information.